After a climatic end to the 2018 Rockstar Energy Triple Crown series, the start of the 2019 season has been highly anticipated but soft spring soil conditions in BC, the opening round of the AX Tour in Abbotsford always proves to be a wild card race that anyone can win. After a big crash during last year’s season finale, MX1 rider Colton Facciotti was not lining up for the AX Tour portion of the series to allow for more recovery time prior to the MX Tour. MX2 rider Dylan Wright would be the lone GDR/Honda rider during the AX Tour. After a disappointing result in last year’s Abbotsford Arenacross with a mechanical DNF, Wright was looking for a stronger start to his season in 2019. With the dismal track conditions, riders struggled to put in decent laps with most opting to use their laps to survey the lines that were forming and constantly changing. Wright cruised around with hopes of putting in a strong qualifying time in the second session, but it was cut short due to deteriorating track conditions as well as timing & scoring issues. Dylan would have to rely on his 6th place qualifying time from session 1. A bad qualifying time means a bad gate pick, so Dylan had to make the most of his starting position in the Heat race to advance himself into the Main Event. Wright took the holeshot and led every lap on route to the first heat race win of the season and his Main Event was looking promising for the GDR/Honda team. With the soft soil conditions, the carnage on the first lap of the Main Event was almost unavoidable and Wright got tangled with a rider in the second corner. After crashing off the track, Wright struggling to re-enter which left him battling back from last place up to 7th place by the finish. But amongst all the chaos, it was Texas Native, Ryder Owens who was the surprise winner of Round 1 taking the first victory of the season! The start of the 2019 MXGP World Championship finally took place this weekend in Argentina at the beautiful Neuquen circuit in Patagonia. After months of detailed preparation as well as multiple pre-season warm up races, the big dance was finally here and the riders were chomping at the bit to get going. HRC's Tim Gajser came into the weekend feeling positive after a strong off-season and the 2016 MXGP World Champion was ready to get the new campaign underway. Gajser's MX2 teammate Calvin Vlaanderen was also notable for the start of the season as the South African born rider enters his second season with the HRC team and has been tagged as a championship contender. The entire HRC crew were part of our Spring LE release of the Airline Collection, and ran the Red colorway all weekend. Gajser was off to a good start on Saturday with the fastest time during MXGP Free Practice and second fastest in Qualifying Practice. He grabbed the holeshot in the Qualifying Race on Saturday afternoon and held the lead until running into some issues with 5 laps to go. He first slid out in a corner, then had a big crash in the roller section just a few turns later. Luckily he was uninjured and remounted to finished up 9th despite the big get-off. In MX2, Calvin Vlaanderen was in the mix with his Qualifying times but suffered a not so spectacular start in the Qualifying Race - forcing him to battle from behind. He put in a solid effort and worked his way up to 5th from outside of the top 10 for a solid gate pick on Sunday. The MX2 Class kicked off the 2019 race season on Sunday and Calvin Vlaanderen got off to a good start in Moto #1 just inside the Top 5. He put in a solid ride and finished up in 4th place. Moto #2 was almost a carbon copy of the opening race for Vlaanderen, starting 5th again and moving to 4th where he stayed for the rest of the race. Despite missing the podium by just 1 spot in 4th Overall, it was a really positive start to the season for Vlaanderen who will be surely stand atop the podium in the coming weeks. After his big crash on Saturday, Tim Gajser returned to the fray a little sore but ready to go for Sunday's race program. The Slovenian started 4th in Moto #1, and was able to work his way past both Clement Desalle and Romain Febvre for 2nd at the end. In Moto #2 Tim started off 2nd, dropped to 3rd momentarily but took control of second position back by Lap 7. In the closing stages of the race he was closing on race leader Tony Cairoli, but ran out of time before he was able to get close enough to make a move. Gajser scored 2-2 results for 2nd Overall and also a great start to begin the year. New addition to the Fox crew, Factory Yamaha's Jeremy Seewer earned himself a respectable Top 10 overall finish over the weekend with a 9th. After missing all of last season riddled with injuries, HRC's Brian Bogers got his year started with 16-17 moto scores for 18th Overall. Surely Bogers will bring more to the table as the season progresses but it was good to see him back out there competing after a tough 2018 season. With the season kickoff now behind us, the MXGP World Championship tour moves back to Europe for Round #2 of the series coming up in a few weeks at Matterley Basin in the UK March 23 & 24. See you there! This week, Supercross headed to Atlanta for an East, West showdown - where teammates and red plate holders would face off. In the end, Adam Cianciarulo would outpace his fellow Monster Energy Pro Circuit Kawasaki teammate. However, both riders would finish first in their respective series. With two wins in the race format, Adam has become somewhat of a showdown specialist. However, even with that resume, besting his undefeated teammate, Austin Forkner, was a told order. He had his work cut out for him from the beginning. After turn one, Forkner took the lead – as he has all year – and with a clear track, was off to the races. Adam, sitting in third, would show his speed as he passed Chase Sexton and later reeled in his teammate Forkner. He would light the candles in Atlanta to become the first three-time showdown winner in Supercross history. For the first time this year, Monster Energy Pro Circuit Kawasaki teammates, Austin Forkner, and Adam Cianciarulo would face off. Both riders would run the red plate, however, with an undefeated win streak, Austin was the one to beat. When the gate dropped, both Kawasaki pilots wasted no time getting to the front. Austin would take the holeshot and led the opening laps. He would eventually be passed by teammate Adam Cianciarulo and later Dylan Ferrandis to finish third. However, he was the fastest east-coast rider and extends his points lead to 18. Davalos started mid-pack in the main event. From there, he played defense to keep the competition at bay, finishing eighth on the night. Atlanta wasn’t Marchbanks night. In the main, he was pinched out of the lead group as the field rounded turn one. This would force him to work through the pack. With three minutes left, he would be involved in a crash. It took him a while to recover and he settled for 20th. Rj wasn’t 100% for the main, having crashed during Friday's press day. A crash in the main compounded issues, dropping him to 21st. He would regroup to salvage 12th. McAdoo struggled all night. He had a rough heat race and was forced to get to the main via the LCQ. In the main, he was riding mid-pack until a crash would have him settle for 16th. In Atlanta, Chase flashed his speed once again. For the first half of the race he challenged for the win. However, a few small mistakes dropped him to forth. It was just off the podium, but Chase was happy with the ride. In the main, Roczen had an impressive start – rounding the first turn from the outside in second place. Unfortunately, he would lose momentum through the first rhythm section and drop multiple positions. He would work his way to 5th and take advantage of a mistake by Plessinger to take 4th. Having lost touch with the lead group, he would finish in 4th place. Reed didn’t have a good start in the main. He would get pinched in the start and got buried in 12th. He would hold his position for most of the race, eventually finishing 13th. Next week we head to Daytona for round 10. The Terrafirma series blasted onto the scene in 1994 - setting the bar for motocross videos in the ’90s. Starring current and future icons like Doug Henry, Ezra Lusk, Ricky Carmichael, James Stewart, and Travis Pastrana, it gave fans a glimpse inside the moto world for the first time. The film's unique mix of riding and behind the scenes footage became the ultimate formula for this 7 chapter series. Featuring epic locations, a roster of elite athletes, and a soundtrack to match the footage, there's no wonder why the Terrafirma series was so groundbreaking in our sport. Wow, it’s good to be a race fan. The 7th round of the 2019 Supercross series, in Arlington, Texas, was billed as an exciting one and boy did it deliver. Austin Forkner took his second consecutive win in dominant fashion, furthering his points lead. In the 450 class, we witness the closest finish in Supercross history – just 0.02 seconds separating the leaders. Austin was perfect all night. He was first in his heat race, qualified first, and won the main. The Pro Circuit rider had another stellar start – rounding turn one in second place. He would quickly make the pass for 1st, lead every lap and took his second consecutive win of the season. Davalos had a solid night - a great rebound from last week. In the main, he started in 8th and worked his way through the field to finish 5th. This was a huge improvement from his 16th place in Minneapolis and is a promising indicator for the rest of the season. He now moves up to the top ten in the overall standings. Chase Sexton was tormented with mistakes all night but still achieved a great result - a testament to his race-winning speed. Chase had an excellent start in the main, riding with the leaders after the first turn. He would attack the field quickly, passing three riders in the first rhythm section to secure 2nd. In the early laps, he was pressuring the leader, Austin Forkner, but would stall the bike and lose multiple positions. He quickly rebounded but lost ground again after a fall. The 3rd place finish is his first podium of the season and positions him 4th in the standings. Roczen came to Texas with the red plate, and three straight podium finishes. The only thing eluding him this year was an overall win. And this looked to be his night until the very last turn. Roczen had another great start in the main and had a short battle with Musquin for 2nd place. From there, he set his sights on Tomac. He wasted no time attacking Eli and made the pass. He led the whole race which came down to the last turn. After the last set of whoops – with Roczen and Cooper riding almost bar-to-bar – Cooper would attempt the pass in the final turn before the finish line jump. Both riders lost momentum as they collided in the turn and they accelerated to the finish. Cooper would edge out Roczen by just 0.02 seconds. It was a difficult night for Reed. He was sitting in 7th at the start of the 450 main but would struggle as the ride progressed and slip back to 11th. Next week we head to Michigan for round 8: Detroit Supercross. For the 4th round of the 2019 Supercross Series, we headed to the California Bay for the Oakland Supercross. When the dust settled, we had a new points leader. After a clean start, Ken rolled to a 2nd place finish in Heat Race Two. In the main, he didn’t have the best start. From mid-pack, he worked his way towards the front and soon found himself in 2nd. However, he would fade in the closing laps and finish 4th. The last couple passes would cost him the point lead, and he will head to San Diego two points behind the new leader, Cooper Webb. A great start landed Chad in the lead group of Heat Race Two. He road in control and finish 4th to qualify for the main. Sadly, Chad didn’t get the same start in the main. Working from deep in the pack, he was fast enough to move up to the 9th position. After a poor start, Adam found himself deep in the pack in Heat Race Two, but he worked back to finish in 3rd. For the main, Adam didn’t grab the holeshot but managed to pass two riders in the first rhythm (McAdoo & Nichols) to take the lead. After that impressive pass, he controlled most of the race and kept Nichols at bay just enough to keep a true pass attempt from happening. Adam had his share of close calls due to the pressure from Nichols but maintained his compose and took his second win of the season. Garrett was looking forward to Oakland after a tough night at A2. He finished 7th in Heat Race Two and had a solid ride in the main to finish 8th. After a good start, Cameron took the lead and led Heat Race One for 3 laps. However, he would settle for 2nd after a decisive pass from Decotis with only two laps left. In the main, Cameron was 1st at turn-two but was rapidly passed by AC. He had a strong ride and finish 6th. Rj emerged from the first turn in the lead and set the pace through the opening laps. A mistake would see him finish 4th in Heat Race Two. In the main, Rj had a decent start - 4th after the first lap. However, he had a tough final and finished 13th. The 2019 Monster Energy Supercross series now heads to San Diego for round five of the series. This past weekend, the 2019 Supercross series made its way back to Anaheim stadium for the 3rd round of the season. A2 would be the first round of the triple crown racing format. This format switches the night schedule to 3 main events with all qualifying taking place during the day. In the 450 class, Ken Roczen came into the night with the points lead in the series. Ken got out to a great start in the first main and lead the entire race - eventually getting passed on the last lap to take 2nd. Ken started mid-pack in the second main and had to work towards the front. After securing 3rd, a mistake in the whoops would see Ken go down and lose positions. However, he would recover and work his way back to 5th. Ken got out to another mid-pack start in the third main and pushed his way to 4th. The 3 moto finishes gave Ken 4th overall and would see him maintain his points lead as the series heads to Oakland. Chad Reed rolled into A2 in custom racewear that paid homage to Jeremy McGrath - the all-time king of supercross and his hero in the sport. Chad had a tough start in the 1st main and would finish in 10th. He had a bike issue after the 1st race that would not allow him to line up for the 2nd main. However, in the 3rd main, he got a good start and finished 5th - his best finish of the year. His overall finish on the night would be 14th. In the 250 class, Adam Cianciarulo grabbed the holeshot in the 1st main and looked to be on his way to a win. A small mistake saw him go down and fall back in the pack. He would rebound and finish 4th. In the 2nd main, Adam would crash mid-way through the race and eventually finish 14th. In the 3rd main, Adam put in a solid ride and came home in 2nd - taking 5th overall. Garrett Marchbanks had a tough night in all 3 mains. He would end the night 21st and is looking forward to Oakland. &The Team Geico Honda riders had a good night. RJ Hampshire would finish 4th on the night with Cameron McAdoo finishing 6th. The 2019 Monster Energy Supercross series now heads to Oakland for round four of the series. Round two of the 2019 Monster Energy Supercross series was a pivotal night for the Fox Racing team. Ken Roczen scored his second-consecutive podium while Adam Cianciarulo took his first win of the year. It was Adam's night in Arizona. He started his day finishing first in his heat race and backed it up with an impressive holeshot in the main. After the first turn, he quickly pulled away from the pack, led every lap, and took his first win of the series. With the victory in Arizona, Adam jumped 3 positions in the overall standing and sits 2nd heading into round three. For Ken, it was a tale of two races. He had a disappointing heat race and would later joke, “Luckily we don’t get points for heat races.” In the main, he was a completely different rider. After taking the holeshot, he would lead much of the race with Jason Anderson in pursuit. Unfortunately, Steward ended up having a huge crash in the whoops, bringing a stop to the race, and later a staggered restart. Several riders would take advantage of the restart, including Anderson, who gain significant ground on Roczen. Anderson would eventually make an aggressive pass on Roczen – taking him down in the process. Roczen would lose several positions but would bounce back yet again to claim third place and the overall points lead. Ken will be bringing the Redplate to A2 on the 94 HRC Honda. The 2019 Monster Energy Supercross series now heads back to Anaheim for round three of the series and the first round of the triple crown. This past weekend marked the start of the 2019 Supercross series. The stage was set in Anaheim, California to see what the New Year would bring the top supercross riders in the world. In the 450 Class, we would see Ken Roczen and Chad Reed lining up, as well as Adam Cianciarulo and Garrett Marchbanks lining up in the 250 class. Team Geico Honda rider’s RJ Hampshire and Cameron McAdoo would also be there in the Fox V3 helmet. There was a chance of rain that did materialize during the second qualifying session of the day, and eventually, let up and lead into what appeared to be a dry night of racing, but it wouldn’t last long. The rain started to come down as the 450 riders lined up in their heat races. In the 450 class, Ken Roczen got out to a great start in his heat race and would go on to win. Chad Reed would have to work his way through the LCQ to get into the main. In the 450 Main, Ken was off to a good start and worked his way to the front of the pack. He would go on to finish 2nd and escape the rain at A1, earning valuable points towards the championship. Chad Reed got stuck in a first run pile up and would eventually work his way to 9th. A great finish considering the conditions. In the 250 class, Adam got a good start in his heat and worked his way to the front to take the win. Garrett Marchbanks would finish 6th and transfer directly to the main in his supercross debut. RJ Hampshire won his heat race and transferred directly to the main. In the 250 Main, AC appeared to have the holeshot but lost control going into the first turn and nearly crashed. He eventually worked his way back to the front of the pack. However, a mid-race collision with RJ Hampshire would push him back. He put on another charge and finished the race in 5th. RJ finished in 4th, Garrett Marchbanks in 6th and Cameron McAdoo in 11th. On to Phoenix this weekend! The Rockstar Energy Triple Crown series nears the end of its championship battle and only eight points separated first and second place in the chase for the 100k Triple Crown prize money. Round 3 of the Championship battle was hosted inside the Videotron Centre in Quebec City. After a disappointing opening round of the SX Tour in Montreal, Dylan Wright was sidelined for round two and made his return to racing at round three in the SX1 class. With SX1 teammate in a championship battle, the added competition would prove to be a factor. Qualifying for the night show in 9th place, speculations that Dylan’s motives for the night’s racing were in question so the GDR Honda team decided to have Dylan sit out from the night’s racing to avoid any discrepancies. 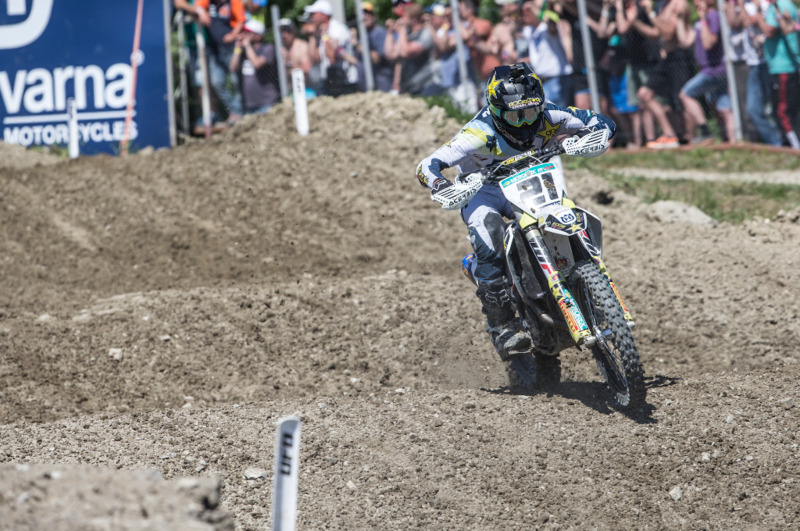 The tension around the points battle between Facciotti and Triple Crown Series leader, Cole Thompson was peaking in Quebec City. The gap was only 8 points with two main events left to go. With aggressive riding coming into play several times earlier in the Triple Crown series, Facciotti’s strategy was to get the holeshot and check out for the Main Event win and avoid drama. Getting another Royal Distributing Holeshot, Colton clicked off clean laps while leading the entire main event until disaster struck in the last corner from a charging Cole Thompson. Facciotti was ejected across the finish line, but did not remount and went to the hospital for further evaluation. This now drops Facciotti down 11 points from the Triple Crown title with one main event left. At this time, it’s unknown if Colton will be recovered to race round 4. The Motocross of Nations made its return to North American soil for the first time in 8 years and the infamous Red Bud Track & Trail was set to host the 72nd running of the MXoN. Billed as the “Olympics of Motocross,” thirty-one participating countries select three riders to represent in each class; MXGP, MX2 and Open. For Team Canada, Fox Racing rider and new Canadian National Motocross Champion Colton Facciotti was to lead the charge for Canada in the MXGP class. Alongside him would be newly crowned Canadian MX2 Champion, Jess Pettis and two-time Canadian National Champion, Tyler Medaglia. Competing in his sixth MXoN, Colton Facciotti has experienced the intensity and demands of the international competition format. This year with the event being held in North America, the Canadian fans were out in full colours representing the red & white giving the team and its riders extra encouragement as they lined up. The international racing format consists of a two-day structure with Qualifiers on Saturday and Main Event racing on Sunday. Facciotti qualified in 17th place on Saturday and the team collectively qualified 11th overall for the Main Event. In Moto 1, Facciotti narrowly missed a first corner pile up and slide through in third place putting him up front to battle. Needing to remove his goggles for better vision, Colton held on for a hard fought 9th place finish. In Moto 2, Facciotti was given the lesser gate pick from team strategy and suffered a poor start. Stuck battling in the back of the pack, Colt had to remove his goggles again from the harsh muddy conditions and finished the race in 26th place for a respectable 9th overall individual score. Collectively the Canadian team finished with an 11th overall at the 2018 Motocross of Nations. Round 2 of the Rockstar Energy SX Tour was at Delaware Speedway in London, Ontario. Built within the car racing oval, the SX track had a straight rhythm style with 2 main rhythm lanes making the majority of the layout with a few corners built around it. The track soil being entirely clay, the base was rock hard and demanded precise throttle control to make any passes. With Dylan Wright sidelined from an injury he sustained at Round 1, the GDR Honda Squad only had MX1 rider Colton Facciotti in the line up. In the MX2 class, freshly turned Pro and Fox Brigade graduate, Jake Tricco was in the line up. With no Supercross experience and minimal Arenacross experience, Jake Tricco lined up for his first attempt at racing in the Pro class at Round 2 of the SX Tour. Riding conservative with the primary goal of gaining experience with each lap on the track, Tricco started the day with a 10th place qualifying time and then stepped it up in his Heat race with a 3rd place finish. In the Main Event, Tricco rode smooth and consistent in 5th place from start to finish giving him a solid top 5 in his Pro debut. Jake will sit out Round 3 but rejoin series for Round 4 in Hamilton. Carrying momentum from the technical Montreal Supercross track, Colton Facciotti came into Round 2 setting the 1st place qualifying time and then scored 2nd place in his Heat race. Hoping to inch closer to the Triple Crown points lead, Facciotti needed to take the win over points leader, Cole Thompson. Starting the Main Event in 6th place, Facciotti delicately worked his way into 3rd place at the halfway stage of the race. Then benefiting from a fallen rider, Facciotti advanced into 2nd place where he finished out the race, but was unfortunately behind Triple Crown points leader, Cole Thompson which now puts Colton down 8 points. After a five-year hiatus, the infamous Supercross Montreal returned to “le belle province”. Hosted inside one of the city’s most prized landmarks, the Olympic Stadium transforms the former baseball field into a supercross track inviting 15,000+ fans in. Almost thirty-six years since the Montreal Expos played their final MLB game at the stadium, the monumental building is still rich with heritage and impressive to be racing in. Among the international field of riders competing, the Fox Moto team had the GDR Honda squad of Dylan Wright & Colton Facciotti, former AMA SX winner Josh Hill, and Canadian FMX rider Kyle Demelo. With minimal Supercross experience, Dylan Wright put in work post-motocross season in preparation for the Montreal race. Qualifying struggles lingered with Dylan all day as he took two very hard crashes that left him bruised and slow moving, but he still managed to score well with a 4th place lap time. Dylan was aiming for podium finish to start the SX Tour season off, but unfortunately still feeling the effects of his earlier crashes, Wright went down on the opening lap of the MX2 main event and had to pull off from the race with a DNF. Canadian Freestyle rider Kyle Demelo performed during the intermission of the races for the Montreal motorhead fans and put in shows that got people out of their seat. Rehabbing off several severe injuries, Kyle’s return to action in Montreal was the kick off to his 2018/2019 season that starts with the upcoming Nitro Circus tour. Fresh off his 5th Canadian Motocross Championship, Colton Facciotti had no time to waste before SX Season kicked off only weeks later. A former winner of the Montreal Supercross, Colton has sufficient SX skills to take a victory any year that he lines up. Qualifying in 6th amongst a heavy stack of international imports, Facciotti was aiming for a podium result to make it through the first round and remain in contention for the Triple Crown. Facciotti Finished the night with 5-10-9 Main Event scores, placing him just short of that in 7th overall. International rider and former AMA supercross race winner, Josh Hill made his second appearance in the 2018 Triple Crown Series, but this time to mix it up in the SX Tour. With top supercross results in his past, Hill’s racing has a more fun approach that keeps his riding entertaining to watch on the track. With the goal of a top 5 overall finish, Hill made it happen with 9-3-6 Main Event scores. The Final round of the MX Tour Championship rolled into the historic Walton Raceway to crown the 2018 series Champions. Coming into the race, MX1 rider Colton Faccioti had held the red plate the entire series and opened up a lead of 22 points against the field. Not enough to become comfortable, Facciotti had to maintain his consistency all the way until this final race. With 4 Canadian National Championships to his name already, Facciotti is no stranger to a tight Championship points battle and looked calm and collected on this race day. Having won numerous Amateur Grand National Championship at Walton Raceway over the years, MX2 rider Dylan Wright was anxious to end his season on a high note on the familiar track. Qualifying the day in 4th position in some muddy morning conditions, Dylan regrouped for Moto 1. An unfortunate first corner crash forced Wright to start the moto in 32nd place but the determination of Dylan was not going to be matched by anyone that day and he passed twenty-four riders in three laps, but wasn’t done yet. Wright kept charging his way into 2nd place on the closing three laps of the race where he would have to settle. In Moto 2, Dylan was determined to end the season with a Victory and took the lead on lap 6, setting the fastest lap of the race again, and then never looked back. Wright rode it in for his third overall victory of the season and left everyone feeling the heat for the upcoming season. “being out of the Championship hunt, I had a lot to prove today and I wanted to take one more overall before the break in the season." – Dylan Wright. 1st Overall. Championship race day had everyone on the edge of the seat except one guy, MX1 rider Colton Facciotti. A comfortable Facciotti qualified the day in 2nd place and knew exactly what he needed to do to bring home his 5th Canadian Motocross Championship. In Moto 1, Facciotti had a great jump off the gate, rounding the first corner in second place and then did what he’s been doing all season; rode smart and consistent all the way to the checkers for a 2nd place finish. In Moto 2, Facciotti didn’t lay down and was still going for the overall win. Riding like a veteran champion, Colton took the moto win securing himself the overall victory and earning his 5th Canadian National MX Championship. With 2/3 of the Rockstar Energy Triple Crown Series now in the record books, the racing shifts into the final swing of the Championship; the SX Tour. The Olympic Stadium in Montreal, QC will host Round 1 of the SX Tour on September 15th. Until then, the GDR Honda Canada Fox Racing team will enjoy a well deserved MX Tour Championship. 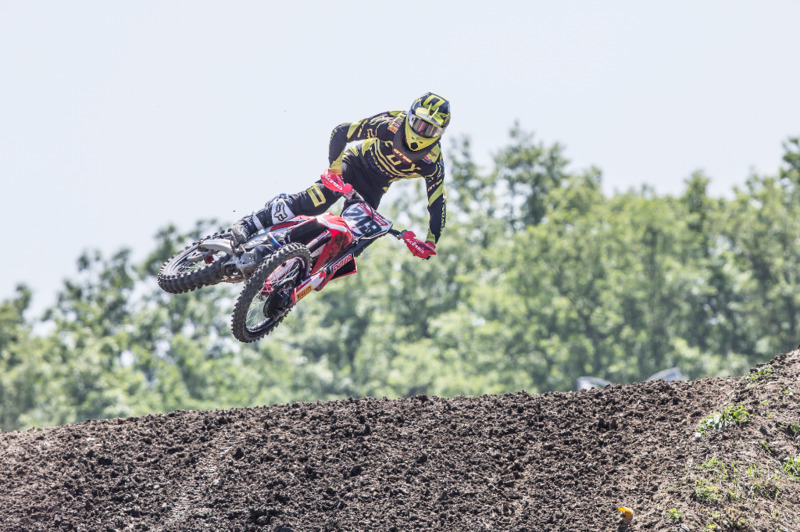 This previous weekend the AMA National Motocross series rolled into Budds Creek for the second to last round of the 2018 outdoor series. Once again, Fox team riders would be in the MX19 Motocross product line looking to finish the year strong. Hot temperatures and high humidity would greet the riders as they kicked off the weekend with qualifying. In the 450 class, Fox team rider Ken Roczen continues to build strength and consistency after coming off an injury that saw him sit out the bulk of the Supercross series. Ken would put in a strong qualifying session posting the 5th fastest time. In the 250 class, Monster Pro Circuit Kawasaki riders Austin Forkner and Joey Savatgy are looking to capture an overall win before the season ends. In Moto 1, Ken has a great start - rounding the first turn in 2nd. He would immediately challenge Marvin Musquin for the lead and take the top spot after a couple more turns. Ken put a nice gap between himself and Marvin early in the race. With about 4 minutes to go in the moto, Marvin would start to put heavy pressure on Ken for the lead. But he would hold Marvin off and take the win by 8 seconds. Kenny got out to another good start in the second moto, finishing the first lap in the top 5. Knowing he would need to finish in front of leader Marvin Musquin to get the overall win for the day, Ken set his sights on the lead. Midway through the race, he made the pass for the lead and started to pull away from Musquin. Kenny would hold the lead for much of the moto. But, with about 5 minutes to go, Eli Tomac had worked his way into second and started to challenge Ken for the lead. Tomac would make the pass and go on to take the win. Kenny would hold on to finish 3rd in the moto and 2nd overall on the day. Moto 1 would see Austin Forkner get out to a top 5 start with Savatgy buried in the pack. Austin would work his way to 3rd early in the moto and would hold that position to the finish. Joey was able to work his way up to 7th early in the race but would end up finishing the moto in 11th. The second moto would see Austin get out to another good start with Joey struggling to get off the line. Austin would battle and hold 3rd until the late stages of the race. Coming under pressure from Mitchel Harrison, the two riders would nearly collide sending Austin off the track. Struggling to find a place to re-enter the track. Austin would lose several positions and finish 7th in the moto and 5th overall on the day. Joey would struggle to a 16th place finish and 13th overall on the day. The teams will head to Indiana for the last round of the year next weekend. The Walton TransCan Grand National Championship is Canada’s premier annual “Celebration of Motocross.” Thousands of people from across the country qualify for limited starting positions at the annual GNC and race for top National honours in their respected race classes. Families migrate to the Huron County in Ontario for a week long, three-moto format race, ending with the MX Tour season finale race crowning the King of Walton. With over twenty-five years of history, the Walton Raceway has been a battleground for Canada’s future and current Champions and with its return to the National schedule in 2018, Fox Racing was proud to partner with the re-growth of Canada’s Amateur Grand National Championship. The Fox Racing Instinct Bronze Boot was presented to a rider with the highest combined points from the Junior-Intermediate classes throughout TransCan Week. Congratulations Jeremy McKie from Boloeil, Quebec on being the 2018 recipient. Among the hundreds racing from across the country, the Fox Brigade had several racers competing for top honours in their classes. Unfortunately, down a stand-out team rider with Jacob Piccolo due to an Injury, Jake Tricco from Ontario and Ryder McNabb from Manitoba were lining up to represent the Fox Brigade at the front of their moto’s. Track conditions started out prime and looked poised to be a great week of racing, but after the second moto’s were completed, rain set-in making the closing moto’s a wild card but Champions were still crowned! Below are the Fox Brigade results. The friendly farm boy attitude makes you know Ryder McNabb is having fun every time he’s on the bike. Having spent his entire season training in Texas with the Masterpool Family, the McNabbs were coming into the TransCan fresh off racing the 2018 Loretta Lynn’s Amateur GNC where Ryder showed flashes of potential among the worlds best. Looking to make a statement within Canada, Ryder put in great moto’s, riding consistent and mature beyond his age. Jake Tricco – 16 years old. Collingwood, Ontario. Following through on an outstanding Amateur career with numerous GNC Championships already, Jake Tricco is now approaching his graduation from the Amateur ranks into the Pro ranks. Although still an Amateur, Jake has been turning heads racing in the Pro division for the Eastern portion of the MX Tour Triple Crown series for the last several weeks. Earning multiple top 10 finishes, Jake returned to the TransCan to win the last of his Amateur titles and rode consistent but still raw all week and now looks to further progress as riding as a Pro now. In the true Walton tradition of celebrating motocross, Fox Racing Canada Sales Manager, JC Seitz and family lined up for some racing between his booking season and gets an honourable mention for a near class sweep and bringing a TransCan title back to the office! From day one, Fox has created products with intention and purpose. Every year, for every season, through every weekend ride, our goal remains the same: create great products that elevate performance and forge unforgettable experiences. To that aim, we’re excited to announce our 2018 campaign, “Made For”. The campaign aligns Fox’s Motocross, Mountain Bike and Lifestyle segments with a universal message across all platforms and channels. 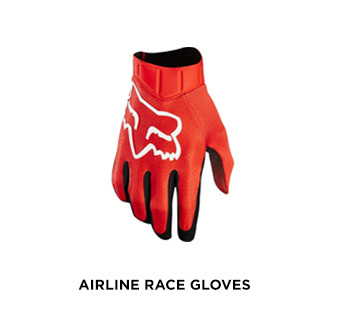 “Fox’s products have been purpose-built since the brand’s inception in 1974. This campaign really celebrates the fact that everything we do - from the products we make to the athletes and events we support and the culture we create - is Made For Motocross, Made For Mountain Bike and Made For This Life that surrounds our sports.” – Jeff Taylor, Senior Vice President, Fox Racing. Since 1974, Fox has had a passion for 2 wheels and the lifestyle that comes with it. The experiences, competition, innovation and camaraderie keep us pushing for that next adventure. Whether it’s a motocross track, trails deep in the forest or riding the lift at the local bike park, this is what we are Made For. The closing round of the AX Tour wrapped up in Barrie, ON with an exciting double header event. The winner of the AX Tour championship would become the front runner for the 100k Triple Crown prize money heading into the Motocross season. Honda Canada/GDR/Fox Racing team was coming into the final round without MX2 rider Dylan Wright who is still rehabbing a shoulder injury suffered at Round 3. MX1 rider, Colton Facciotti has been in contention for the title all season but would need the race situations to fall in his favour in order to win the championship. During night one, Facciotti was the top qualifier and then carried the momentum into his heat race taking the win. Facciotti followed that up with a victory in the Clash for Cash which was crucial for him to collect extra series points. During the Main, Facciotti crossed the start line first receiving the Royal Distributing holeshot award but only laps latter would go down with another rider who was challenging for the lead. Facciotti remounted and went on to finish the main in 4th which took away his championship momentum. During night two, Facciotti qualified in second place followed by a 3rd place finish in the heat race. Finishing outside of the top 2 in his heat race would eliminate Colton from the night’s Clash for Cash race and would have to watch it from the sidelines. In the Main Event, Facciotti held the 3rd place for the majority of the race until getting taken out by the eventual race/series winner Cole Thompson who was on the charge to the front. Facciotti picked himself up to rode it out for a 5th place finish. With some ups and downs throughout the AX Tour, the Honda Canada/GDR/Fox Racing team was able to secure a respectable 2nd place overall finish in the MX1 class. Now the team will look ahead to the outdoor season and the MX Tour portion of the Triple Crown series. Round 6 of the FIM Motocross World Championship visited Russia earlier this week, with the races being held on a Tuesday around International Workers' Day. Coming off his first podium of the season in Portugal, HRC's Tim Gajser was looking to keep the momentum rolling. IceOne Husqvarna was back to full strength as Max Anstie returned from injury to join Gautier Paulin who is experiencing another strong campaign in 2018. Calvin Vlaanderen was our only MX2 pilot of the weekend, as the 114 Motorsports outfit sat idle with Hunter Lawrence & Bas Vaessen both injured. Lawrence will look to return at Round 7 in Latvia and Vaessen will be a few weeks longer. Our EMX 250 athletes were also back in action in Orlyonok, with Danish youth sensation Mikkel Haarup under the IceOne umbrella and German Jeremy Sydow on a private KTM effort. Tim Gajser got off to a strong start in Timed Practice as he set the fastest time in the session. Gautier Paulin was just a little over a second off in 3rd position, and Max Anstiewas 8th fastest. On the MX2 side, Calvin Vlaanderen was 6th fastest aboard his HRC machine. Vlaanderen had his best Qualifying Race performance of the season, earning himself 3rd spot on the grid for the motos. Anstie was 8th in the MXGP Quali Race, with Paulin10th. An early crash for Gajser had him starting in dead last, but the Slovenian was able to climb his way up to 14th at the end. Jeremy Sydow got off to a great start in EMX 250 Moto #1 as he grabbed the holeshot and led the opening lap. Unfortunately he would run into some bad luck and go down early on. Mikkel Haarup also had a solid start, running in 4th before he crashed as well and finished up 12th. Haarup got a tough start in Moto #2, but clawed his way up to 10th at the end for 11th Overall. Calvin Vlaanderen was 7th off the start in MX2 Moto #1 and rode a consistent race to finish up in 6th. The South African started off 7th again in Moto #2, but worked his way up to 4th this time. 6-4 Moto scores were good for 6th Overall and he now sits 6th in the Overall Points Standings. Gautier Paulin got off to a good start in MXGP Moto #1, taking the green flag in 4th. The consistent Frenchman would finish the race in 4th where he started, and Tim Gajser came from a 7th place start up to 5th. Max Anstie began his return to the races with a tough start back in 20th, but was able to work his way forward to 15th despite fighting off some arm pump. MXGP Moto #2 started in a positive way for Gajser as he sat in 3rd on the opening lap. The HRC lead man ended up 4th, going 5-4 for 5th Overall. Gautier Paulin was not so lucky and went down early on, putting him dead last on the opening lap. He put in an impressive charge however, and pushed all the way to 6th place which salvaged 6th Overall with 4-6 Moto scores. 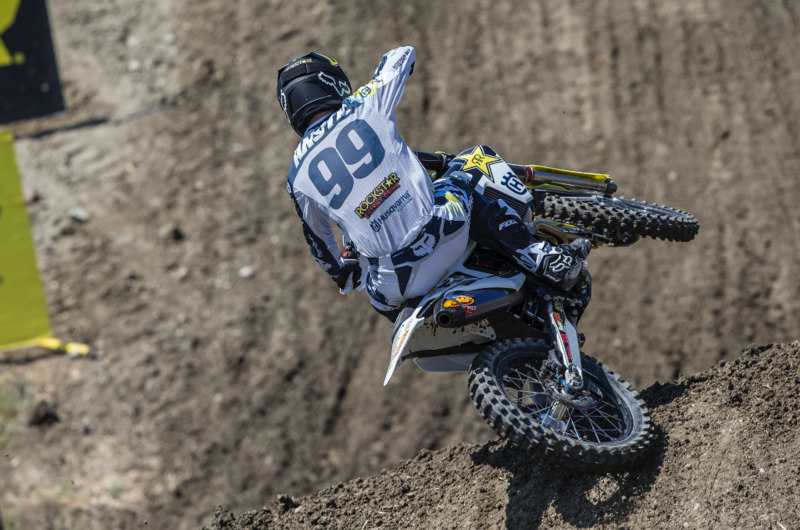 Max Anstie struggled with arm pump again in Moto #2 and ended up 16th Overall on the day. The circuit rolls on with Round 7 at the Kegums circuit in Latvia on May 13th. 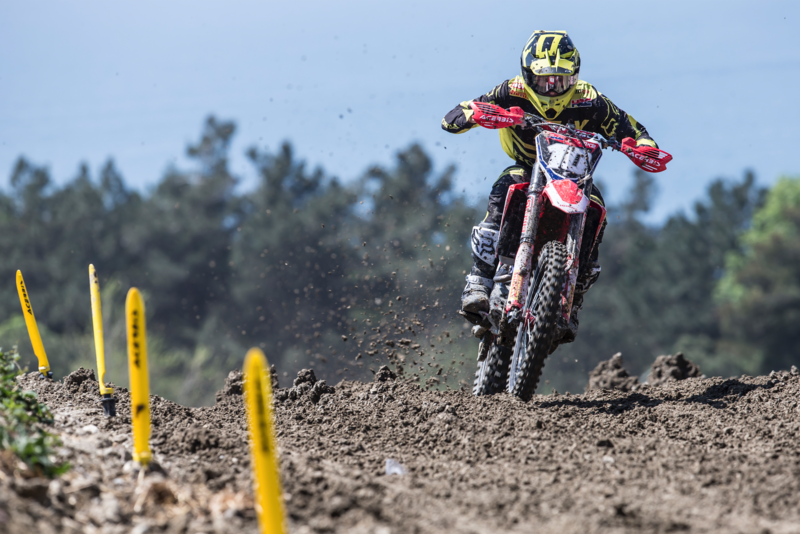 The 2018 FIM Motocross World Championship made its way to Portugal this weekend for Round 5 of the series at Crossdromo Internacional de Águeda. Despite heavy rainfall and warnings of inclement weather throughout the weekend, conditions ended up nice and offered a great venue for some exciting racing. After a bit of a tough weekend results wise in Arco, HRC's Tim Gajser looked to get back to his normal stride in Portugal and Gautier Paulin continues to build on solid performances with the IceOne Husky team. On the MX2 side, both Calvin Vlaanderen and Bas Vaessen came into Portugal healthy and looking for strong results. The WMX class returned this weekend as well, and Courtney Duncan had her eyes on the red plate after scoring 2nd at the season opener last week at Arco. Unfortunately Max Anstie & Hunter Lawrence both missed this round as they are still recovering from injury. Gajser was looking quick on Saturday and was 2nd fastest during timed qualifying with a 1:49.964. Paulin almost matched him, closely in 3rd with a 1:49.992. 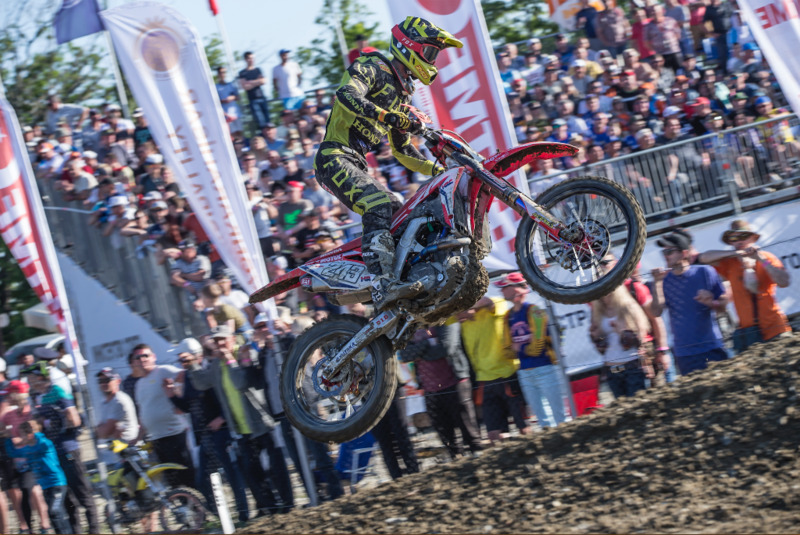 Later in the afternoon, Gajser secured 4th in the Qualifying Race, with Paulin a close 6th. Solid gate picks for the races on Sunday! In MX2, Vlaanderen was 6th and Vaessen 19th. The "Kiwi Girl" Courtney Duncan started the weekend off on top of the WMX field by 2 seconds in Qualifying Practice. She got off to a great start in Moto #1, grabbing the holeshot and building a nice lead early on. When the checkers flew, she had led every lap and took a commanding victory by over 20 seconds. In Moto #2, Duncan didn't quite get the holeshot, but was 2nd at the end of the first lap. She held 2nd for the first four laps before making the pass for the lead on Larissa Papenmeier. The perfect day was complete as Duncan took the checkered flag and she now holds the Overall points lead! The WMX series will now go on a brief pause and will return to action at Teutschenthal on May 20th. Tim Gajser got off to a great start in MXGP Moto #1, taking the green flag in 2nd position.Gautier Paulin was a close 4th, and moved into 3rd after the first few laps. Gajser eventually finished up in 3rd, with Paulin just behind in 4th place. On the MX2 side, Bas Vaessen was 10th in Moto #1, with Calvin Vlaanderen back in 18th after suffering a crash in the early laps. Tim Gajser was solid off the start again in MXGP Moto #2, rounding the first lap in 5th position. Unfortunately Gautier Paulin experienced a mechanical problem with his bike on the opening lap and would not be able to continue. Gajser rode a smart and consistent race to finish up in 5th, going 3-5 for 3rd Overall and his first podium result of the season. Great to see Tim back on the podium and working to overcome a tough preseason injury. In MX2 Moto #2, HRC's Calvin Vlaanderen turned things around for a solid 6th place finish, but the luck was flipped for Bas Vaessen who finished in 19th. Vlaanderen was 9th Overall with Vaessen 15th. 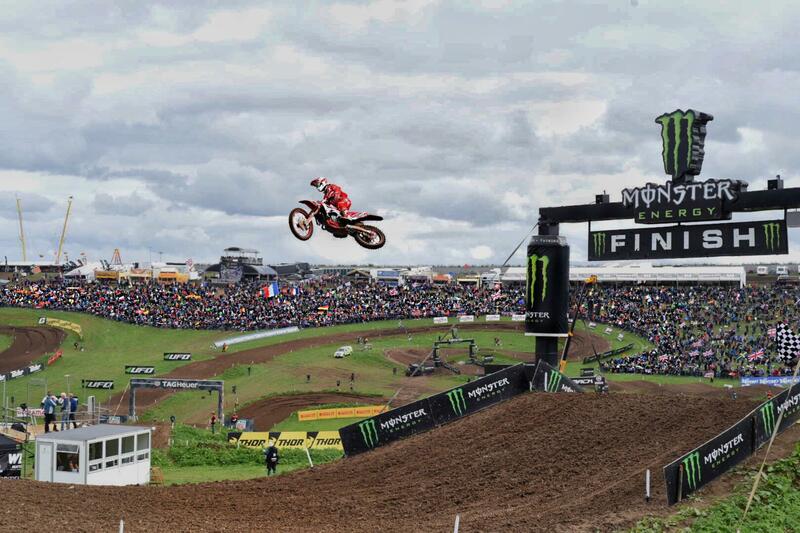 The FIM Motocross World Championship now takes a brief pause before returning to action in Russia on May 1st. Round 4 of the Rockstar Energy Triple Crown Series arrived in Sarnia, Ontario for the first stop in the East and race fans filled the seats for a sell out event. Track conditions were tacky and soft which made for very technical ruts for riders to navigate. Honda Canada/GDR/Fox Racing MX2 rider Dylan Wright was unable to line up for the racing in Sarnia as he was still rehabbing a shoulder injury sustained at Round 3. MX1 rider Colton Facciotti was coming into Round 4 wanting to regain his points lead before going into the final weekend of racing in Barrie. Only being 1 point out of the series lead, Facciotti looked comfortable on the track all morning and qualified with the second best lap time of the day. In Heat 1, Facciotti got the holeshot and went on to lead every lap to the checkered flag. In the Main Event, Facciotti battled in the top 3 positions but near the closing laps of the race, lapped traffic got heavy and Colton would collide with one, going down and moving back to a 6th place position. The AX Tour moves on to its final weekend of racing in Barrie, Ontario for a double header event April 13th and 14th. Coming into the second stop of the Rockstar Energy Triple Crown Series in Calgary, Alberta, Honda Canada/GDR/Fox Racing MX1 rider Colton Facciotti held the red plate signifying the series points lead and MX2 team rider Dylan Wright was anxious to make a statement after a disappointing first round. Both team riders put in strong races during night 1 of the double-header. Colton Facciotti and Dylan Wright both won their qualifiers and followed it up with an exciting battle over the Clash for Cash. Facciotti eventually over-took Wright for the win and the extra Triple Crown points. Facciotti went on to finish 3rd in the MX1 Main Event and Wright went on to finish 2nd in the MX2 Main Event proving that he has contender speed. Rolling into night 2 of the Double-header, the race adrenaline levels were high and Colton Facciotti looked confident riding into the top MX1 qualifying spot. Dylan Wright was setting fast laps during the MX2 qualifiers, but crashed hard landing on his shoulder and was questionable for the Main Event. Wright was forced to ride it out on the sidelines to collect any MX2 series points he could. During the MX1 Main Event, Facciotti didn’t back down and raced for the win but could only finish in 2nd place moving him backwards one spot to second overall in the Triple Crown. The next Rockstar Energy Triple Crown Series AX event resumes April 7th in Sarnia, Ontario. The 10th round of the 2018 SX series saw the riders tackle the infield of the famed Daytona Motor Speedway. Known as the toughest and longest track of the season, the riders had their work cut out for them. Daytona marked the 4th round of the east coast 250 series. Coming off of two wins in a row, Fox Monster Pro Circuit Kawasaki rider, Austin Forkner was coming into Daytona just 2 points out of the series lead. Austin started strong, posting the fastest time in both timed qualifying sessions during the day. Heat race 2 saw Fox Monster Pro Circuit Kawasaki riders, Martin Davalos and Austin Forker lined up on the gate. Both riders were off to good starts and finished the heat in second and third. As the main event started, both riders got good starts coming out of the first turn near the front of the pack. Martin rode a solid race ending the night in 5th. Austin had the speed to stay at the front of the pack finishing 3rd for the night. The strong finish from Austin has him tied for the series points lead as they head to St. Louis next weekend. Chad Reed is still searching for the right bike setup and riding into shape after a preseason injury. He was able to qualify directly to the main from the heat race. Chad put in another consistent ride in the main event with a 12th place finish. The highly anticipated start of the Rockstar Energy Triple Crown Series kicked off last weekend in Abottsford, BC. With $100,000 up for grabs at the end of the Triple Crown Series and the AX portion being the first gate drops of the season, the fans were treated to some exciting bar banging racing! MX2 rider, Dylan Wright qualified in first place but would succumb to the traitorous track conditions during the Main Event and was unable to finish the race. MX1 rider, Colton Facciotti qualified in second place and carried that momentum into the Main Event. Facciotti received the Royal Distributing Holeshot award and lead every lap on his way to the victory making him the early front runner for the 100k Triple Crown prize money. Round 2/3 of the AX Tour will be a double header event in Calgary Alberta on March 16th & 17th. Dallas was the first round of the much anticipated east coast 250 series. The day started great with Fox Monster Pro Circuit Kawasaki rider Martin Davalos setting the faster qualifying time and Austin Forkner setting the 8th fastest time. Qualifying set the tone going in the night event with Austin Forkner taking the win in the first heat race and Davalos taking the win in heat 2. Both riders put in dominating performances. As the main event started, Davalos had a great jump and looked to be in line for the holeshot heading into the first turn. As the riders started to brake for left hander, Martin was hit from behind causing a chaotic first turn crash. Davalos was thrown across the track taking several riders with him along the way. Luckily, he was not seriously hurt and will be ready to race at Tampa. Austin Forkner was able to miss the first turn carnage and start the main near the front of the pack. A mid race collision with Zack Osbourne put Austin on the ground. Austin remounted and charged through the pack, and eventually finishing 7th. Unfortunately, the Dallas Supercorss marked the first round that Ken Roczen had to sit out with a hand injury he sustained at the San Diego round last week. Ken had surgery to repair his hand on Friday. Surgery went well with Ken already starting therapy this week. No timeline on his return just yet. 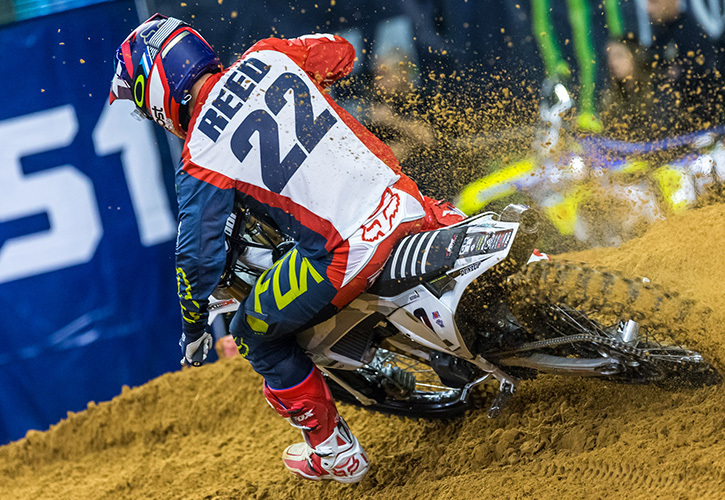 Dallas also marked Chad Reed’s 227th main event start. A number that tied him for all time SX starts with Mike LaRocco. Chad looks to take the all-time starts lead with his 228th start in Tampa this coming weekend. Continuing his impressive season, Adam Cianciarulo entered the main in the third qualifying spot. He started the main event in sixth, and from there methodically picked off riders. By the sixth lap, he found himself riding in fourth and was able to take advantage of a mistake by Joey Savatgy to secure third, where he would finish the race. Joey Savatgy started the main event with an incredible holeshot from the outside starting gate. He stayed with the front pack for several laps and was keeping pace in third, but a late mistake in the final few laps would lose him a few spots. He recovered quickly and battle back, ending the night in fourth. Adam and Joey are sitting 3rd and 4th in the Championship as they head to Oakland. The 450 class saw Ken Roczen put in an excellent rebound ride after a tough night at the A2 Triple Crown event. Working his way past title contenders Jason Anderson and Marvin Musquin to finish third on the night and gain valuable championship points. Ken leaves Phoenix in 3rd place in the points, just 12 back from the leader, Jason Anderson. In Glendale, Chad Reed found himself in the LCQ for the second week in a row as he continues to fight through his ankle injury. The dramatic LCQ saw Reed exit the first turn in third. After losing some ground, he would fight back to second; the crowd loved it. Reed would finish 19th in the main. His results aren’t there yet, but there's no quit in #22. 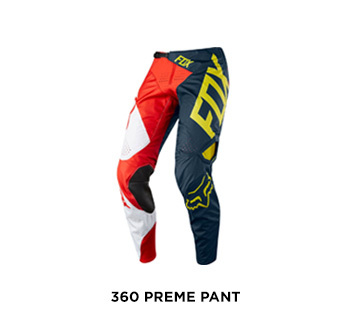 Chad dawned a custom set of 360 Preme racewear to celebrate Australia day. Piece your kit together at an authorized Dealer Near You! We are pleased to announce the agreement of a long-term partnership with IceOne Racing, with support for the Rockstar Energy Husqvarna Factory Racing Team beginning in the 2018 FIM Motocross World Championship. “For us partnering with FOX is the next natural step, lifting up our team level of rider safety, performance and visual appeal. We are looking forward to this journey together and we can’t wait to make our own contribution to the great heritage of FOX and Husqvarna in Motocross – great partners who belong together.” - Antti Pyrhönen, IceOne Racing Team Manager. “Fox and IceOne Racing share a relentless desire to elevate both performance and style, so this partnership is as natural as they come.” - Jeff Taylor, Senior VP of Global Marketing, Fox Racing. IceOne Racing will debut on the world stage with Fox Racing on March 4th when the 2018 FIM Motocross World Championship kicks off with the MXGP of Patagonia in Neuquen, Argentina. The Gear Check is back with another round of recommendations from our pro athletes. Today, we’re joined by Fox SX/MX rider Ken Roczen. Take a look below for a full rundown of the equipment he wore last weekend at Anaheim 2 Supercross. Hey everyone! This year we’re trying something new. Welcome to The Gear Check, where you’ll get a look inside our rider’s gear bag, so to speak. Feel free to let us know on Instagram how you like this format and who you’re interested in seeing next. 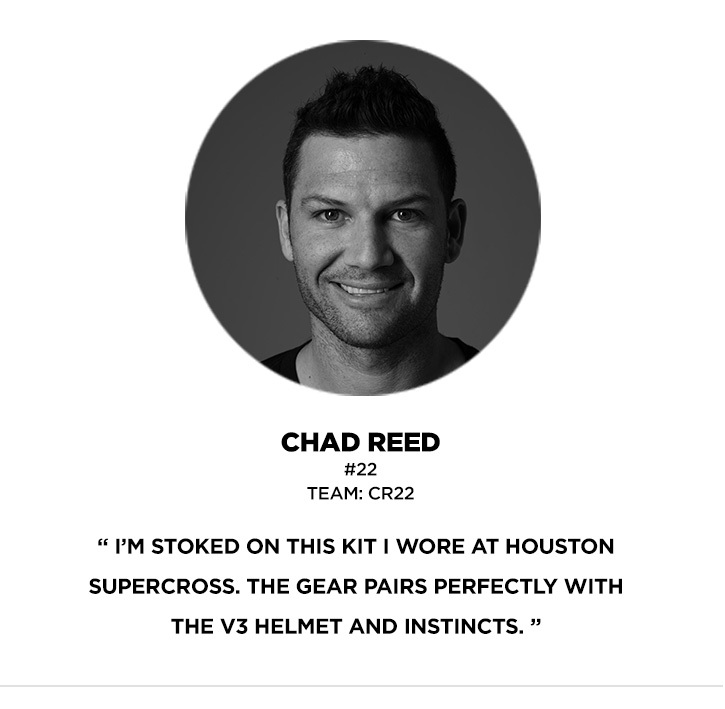 Up first, Chad Reed and his Houston Supercross gear check. Jan 4th, 2018 – Irvine, CA Ken Roczen views the world through a different lens. After what would have been a career ending injury for most, Ken Roczen saw himself back on the bike and back at the gate. We worked tirelessly with Ken inside our MOTO-X LAB to create a goggle to suit his vision. The Vue goggle features unmatched field of vision, an injection molded Polycarbonate lens and our exclusive TruLock quick change lens system. Now, you can see the same possibilities as Ken Roczen. The 46th Annual running of the Winter Olympics kicked off this past week at the iconic Gatorback Cycle Park. This unique event features 2 race tracks, Supercross during the first half of the week, followed by the outdoor Motocross portion of the event. At the end of the week these scores are combined to crown the overall Olympiad. The unpredictable Florida weather hindered the schedule this week, cancelling racing for the entire day of Thanksgiving, ultimately causing the promotors to cut LCQ’s out of the event, making for a cut-throat make-it-or-break-it sense of urgency each moto. In the A/Pro classes, Garrett Marchbanks won the 450 Pro Sport in both SX and MX, this also being his debut race in the A class! Brazilian, Enzo Lopes, was also on fire in the first half of the week with a 250 Pro Sport win in SX, yet Enzo having a bad get-off ended up unable to finish out the week. In the B class and still new to the 250f transition, Stilez Robertson was killing it with a 250 B Limited SX championship, along with a handful of podium finishes. Oklahoma’s Jesse Flock was also a contender in the B class all week with a 450 B Limited SX title. JJ Jarvis was riding great in the Girls and Women’s classes as well, taking the gold in SX and MX in the Girls Sr. class, and just missing the top spot in the Women’s 14+ with 2 second place finishes, though she was chipping away at the leader each lap, but ran out of time during the reduced number of laps due to the rain delay during the week. In the SuperMini class, Jeremy Ryan claimed the SuperMini 2 (13-16) class title in the MX half of the week. John Grewe took a permanent residency on the podium this week! John won 10 of his 12 motos, wrapping up all 4 Overall Olympiad titles in the 35+, 40+, 45+, and 50+. At the end of the week John was given the Vet Masters Award, with the only blemish on his record was having the 35+ SX gold medal taken by RedDog Timmy Ferry. Congratulations to all finishers and champions! Below is a list of Fox team top 3 results, along with a link to full event results. Fox Racing Welcomes Dean Wilson to The Team! Fox Racing is excited to welcome Dean Wilson to the Fox family. Dean joins our elite team of athletes and will ride in our helmets, boots and goggles. From overcoming multiple injuries and racing his way back to a factory ride, Dean’s commitment and dedication to the sport proves he has what it takes to be a top contender, and we are proud to support him on and off the track. The 71st edition of the world’s largest and most prestigious motocross race was hosted in the ancient capital of Winchester, England. With forty countries participating for the honor of hoisting the Chamberlain trophy, all athletes ride for the pride of their countries. Representing Team Canada as their MXGP class entry, GDR/Honda/Fox Racing rider Colton Facciotti hit the track proudly wearing the Red & White and symbolic Maple Leaf. Having been selected to represent Team Canada four times prior, Colton is familiar with the pressure of racing on the world stage. Facciotti would finish his qualifying moto in 14th place, while teammates Tyler Medaglia and Shawn Maffenbeier finishing 11th and 14th advancing the team into Sunday's A-finals. The weather for Sunday's final was a typical U.K forecast of rain which would turn the Matterley Basin track into a demanding battleground. In Moto 1 Facciotti rode mid-pack but after casing a jump hard, he was forced to ride it out in pain to a 34th place finish. In Moto 2, Colton dug deep and soldiered through the discomfort and grueling conditions to a 25th place finish. MX2 teammate Maffenbeier would score 30-27 finishes and MX1 teammate Medaglia would score 16-21 finishes which position Team Canada in 13th overall. A respectable weekend for Team Canada, the three riders did their country proud as they battled amongst the World's best in some of the most traitorous and demanding conditions possible - A group effort that deserves a congratulations! All new for 2018, the Fox 180 boot redefines the boundaries for performance and value. 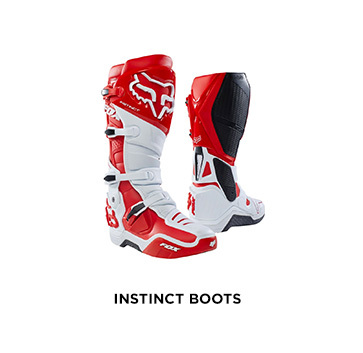 Completely redesigned and built off of our championship proven Instinct, the 180 boot provides a precise performance fit around the ankle and toe box giving the rider maximum support and comfort. The 180 Boot was developed with the legendary Ricky Carmichael and takes cues from the championship proven Instinct Boot. The 180 Boot features an industry first silicone closure system on the shin plate and floating cuff system to provide lateral support and prevent hyperextension. Combined with TPU construction throughout and a durable rubber medial & burn guard, the 180 Boot offers superior comfort and function at an aggressive price point. This year marked the 36th annual running of the AMA Loretta Lynn’s Amateur Motocross National in Hurricane Mills, Tennessee. The prestigious land of Loretta Lynn’s Ranch makes for an incredible backdrop for this week-long event. Close to 1300 racers were able to qualify to do battle for the 32 national championships awarded at the ranch. The Fox Am team had an incredible week’s worth of racing claiming 5 Amateur National Championships and 12 more podium positions. Also, on site was the current and 3 time WMX Champion Kylie Fasnacht who took home the victory with a 1-1 score in the final round of the WMX’s series. The 2 highest scoring athletes on the Team this week were Garrett Marchbanks with double moto victories in the 250 B class and the Schoolboy 2 (12-17) class and, Ty Masterpool with double moto victories in the most prestigious races within mini bike racing the SuperMini 1 (12-15) SuperMini 2 (13-16) classes. Both riders outperformed all the other respected racers within the Amateur and Youth classes thus earning them The Amateur (Garrett Marchbanks) and Youth (Ty Masterpool) rider of the year awards from the AMA. Youth Rider of the year is based on his or her performances in the Youth classes at the Loretta Lynn’s National. The Amateur Rider of the year is based on the non A class rider that is predicted to have the most success as an A rider in his or her following year. Garrett struggled with starts in his first couple of motos having to work his way through the pack to win. Shortly thereafter, Garrett would figure out the fast-right hand turn of Loretta Lynn’s and started to hole-shot and walk away with the win. Garrett went on to win 5 of his 6 motos for the week in very impressive fashion. Ty Masterpool on the other hand made life easy on himself in the early motos posting 3 podiums right off the bat. Ty struggled with horrible starts later in the week and was forced to claw his way back up from practically dead last to win each title. It was full on racing drama all the way to the end. Congratulations to Ty and his privateer victory winning on a TM branded motorcycle. 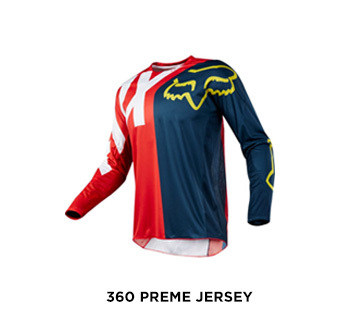 A brand which has never won an AMA AM Motocross National event. The last history making moment is the three Masterpool boys are the only trio of brothers to have all won Championships at the ranch. Ty made that history making moment come true this past week for the family. There was a ton of other great moto action amongst the team. John Grewe was able to capture another championship at the Ranch in the 50+ class and second in the 40+ class. As the series finished up at LL with the final motos of the WMX series, Kylie Fasnacht was able to bring home another event win to top off her 2017 Championship season in the WMX class. Ethan Mann was able to hammer down his final motos of the week in winning fashion claiming two 2nd over-all finishes in the Schoolboy 1 (12-16) and 125cc (12-16) classes. Jordan Jarvis had a great week of racing coming back from a major bike issue in the first moto of the womens (12+) amateur class to go DNF-1-1 and then 3-3-3 for 2nd over-all in the girls (11-16) class. Enzo Lopes (Brazil) had an epic week early on running down and catching the Horizon award winner Justin Cooper during a couple of motos. Enzo showed everyone what he was capable of under the pressures of the AM Nationals. Lastly, the father and son duo of Don and Preston Boespflug were on site to go racing. Watching this father and son work together to discuss lines on the track and moto finishes was a very cool story to follow throughout the week. Preston would end up 3rd OA in the 65cc (7-11) class and Dad (Don) would end up coming home 4th in the 50+ class. The 2018 Fox V3 helmet replaces screws with the all new, Magnetic Visor Release System (MVRS) designed to resist roost, but release in a crash. MVRS is a completely new approach to managing rotational forces that is strong enough to be there when you need it, smart enough to release when you don’t. “Current helmet certification testing removes the visor before conducting any impact tests and that was an area we wanted to study. After years of analyzing collected crash data and reviewing real world crash situations, our engineers felt visor technology could evolve. 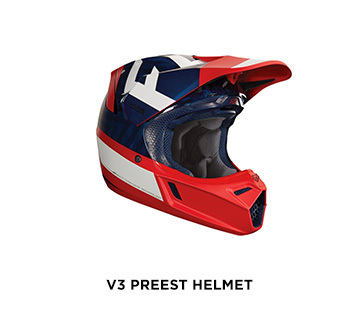 MVRS is the next design approach to the evolution of the modern day motocross helmet.” said Mark Finley, Global Motocross Category Director. 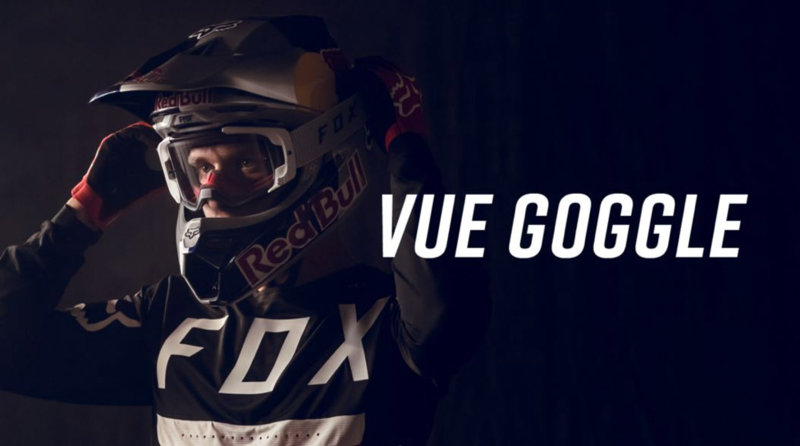 "Throughout the 2017 race season, Fox athletes including Ken Roczen, Ryan Dungey, Tim Gajser, Chad Reed and Evgeny Bobryshev have all been wearing our V3 helmets equipped with MVRS. Unfortunately, Ken Roczen’s season ended in a horrific crash at Anaheim 2. As everyone witnessed during the moment of impact, his visor immediately popped off when his helmet made contact with the dirt. At that precise moment, we saw MVRS do what it was intended for in a true race environment.” said Chris Onstott, Global Sports Marketing Director. Every year we have to shoot photos and video of our top riders for our upcoming season. Due to their heavy schedules, we usually end up shooting each rider by themselves. This year we assembled all of our available riders in one location at one time. Having this many bad dudes in one spot usually only happens on race day. This time: no opening ceremonies, no racing, no motos, no training; it was time to have fun riding dirt bikes. Shooting photos for an entire catalog and a full video in one day is a tremendous task; but in between all of the chaos, the crew would stop and reflect on the how special it was to have this roster in such an amazing spot. It was a surreal day for everyone involved. It’s only fitting the place is called Dreamland. Born on the track and built for the trail, our all-new 2017 Legion product range is ready to begin your journey. With a full line of off-road outerwear, jerseys, pants, gloves and boots specifically designed to conquer the trails, the only thing holding you back is how far your bike will get you. iFox FMX and BMX riders competed at the 2017 Summer XGAMES held in Minneapolis for the first time this past weekend at the US Bank Stadium dowtown. With nearly every event held inside the closed stadium, it made for an awesome setup with no weather issues to affect the athletes riding. FMX rider, Ronnie Renner who is no strange to being on the podium scored a bronze medal in Moto X Step Up, while BMX rider Pat Casey placed 3rd in the Dave Mirra Best Trick contest with a 180 tailwhip over the box jump straight into a fakie front flip! Both Mike Mason and Scotty Cranmer did all television commentating throughout the weekend and absolutely killed it. We are proud of all of our riders for going big and giving it their all throughout the weekend. Until next year! Mammoth Motocross kicked off this past week for the 50th time in history, continuing the tradition and still the longest running motocross event in the United States. Sitting at roughly 8,000 feet of elevation, and Mammoth being at the base of their premier ski resort, an overactive winter and high snow levels left parts of the track under water just weeks before the event. After running miles pipe and pumping literally millions of gallons of water, the crew pulled it off and the event went off without a hitch. Garrett Marchbanks was on fire this week, claiming all 3 of his classes in 250 B, SchoolBoy 2, and 250 B/C Open. Ciaran Naran in that class group as well, had consistent week with all 3 heat races on the podium. Enzo Lopes was running fast in the A class, taking 2nd place in both the 250 Pro and Open Pro. Tristan Miller also came out to Mammoth with his beast of a 500cc machine to dominate the FMF 2-Stroke race. North Carolina’s Jordan Jarvis made the drive all the way to California, not only to win the Women’s 12+ championship, but also she placed in the top 10 in the SchoolBoy 1 and 125cc b/c boys classes! The SuperMini classes were heated to say the least, Stilez Robertson collected some big bear trophies winning final motos in SuperMini 1 & 2 during the 2 mini race days! NorCal’s Jeremy Ryan also had a good week in SuperMini classes consistently on the podium, while Levi Kitchen from the NorthWest was battling with some sickness issues still managed to stay within the top 5 in SuperMini 1.65cc pilot, Enzo Temmerman, won day 2 of the 65cc (7-9), along with Preston Boespflug in the older 65cc (10-11) classes having a successful week on the podium. Congratulations to all who came out to compete at this historic 50th annual event! Below is a list of top 3 performances by the Fox team, and link to full race results. The 2nd Annual Junior Moto-X returned to Lazy-E Arena in Guthrie Oklahoma this past week. Lazy-E Arena is the largest equestrian arena in North America and a first class facility. The Junior Moto-X is a youth focused event limited to competitors 18 years of age and under, and bike size 250cc and below. This unique track is a hybrid of supercross and motocross style, specifically designed with rider safety in mind. Along with the diverse features and multiple option lanes, this arena consists of some of the best around. On the big bike portion of the event, Oklahoma native Jesse Flock put in a hard charge in the 125cc two stroke class championship. Ethan Mann rounded out the podium in the 250 B Limited class with a third place, while North Carolina’s JJ Jarvis won the Women’s 14-18 title. Ty Masterpool, the youngest of the Masterpool family, along with Fox teammate Jeremy Ryan were both on fire! Ty took the championship in the SuperMini 2, and Jeremy earned a silver medal finish in the SuperMini 1 class. Ty and Jeremy also finished 1st and 2nd in the Jesse Cup race, which is a combination of the top 8 fastest racers in both SuperMini 1 and SuperMini 2 classes. The “Jesse Cup” is a race dedicated to the spirit and memory of Jesse Masterpool. Jesse was a Fox team athlete we lost to a tragic motocross accident in 2010. Jesse embodied the passion and dedication for the sport of motocross that we all remember him for today. Jesse’s legacy lives on through our racing community and families. Congratulations to all in attendance of this great event. Below is a list of top 3 finishes by Fox team athletes. Congratulations to Fox Racing athlete Ryan Dungey who won the 450 SX Supercross Title on Saturday night in Las Vegas. Dungey survived a wild 450 SX main event to finish fourth on the night and clinch his third straight title, and the fourth of his career. Dungey entered the night with a nine-point edge over Eli Tomac in the standings. The final saw an incredible race with several lead changes, where twice he collided with Eli Tomac, including one during a tense final lap, but Dungey still finished high enough Saturday at Sam Boyd Stadium to get it done. Located in North San Diego County, the California Classic kicked off this past week in Pala, California. Springtime sunny California weather held out for the week making for great conditions. The Cal Classic runs on a 3 moto format, not only rewarding the fastest, but it takes consistency to put together a championship at this event. Garrett Marchbanks was clearly on a mission this past week, winning 4 of 4 championships in all his classes! Garrett cleaned up the 250 B, 450 B, SchoolBoy 2, and Open B/C classes on his Team Green ride. In the A/Pro classes, Michael Mosiman was on a blistering fast pace, though a couple miscues left him out of contention for a good overall finish, even though the speed was crystal clear as he leads into his professional debut at Hangtown in May. Eldest of the Mosiman brothers was on hand as well to claim a podium spot in the Open Pro class, along with Brazilian Enzo Lopes consistently finishing within the top 5. Tristan Miller was aboard his 500cc beast for the FMF 2-Stroke Challenge. Headed into the last moto with 1-1 scores, Tristan had a small mistake in a corner and handed over the gold for silver, taking home 2nd place overall. In the SuperMini classes, Jeremy Ryan and Levi Kitchen were both chasing down podium positions over the 4 days of racing. 65cc pilot Enzo Temmerman won 3 motos in the 65cc (7-9) mod and limited classes, ultimately earning himself 2 second place trophies in each class. In the older 65cc (10-11) classes, Preston Boespflug traveled from the Pacific Northwest to battle for 4 podium finishes spread between his three 65cc classes he entered. The Cal Classic also marks round 3 of the Women’s Pro Motocross series, where 2 time champion Kylie Fasnacht was on the gas winning both motos. Kylie is leading the WMX Series points as she pushed forward with her sights set on a 3rd straight WMX championship. Congratulations to all competitors, and a big thanks to the 2X Promotions crew for a great event, and thanks to the Pala Tribe for the use of their land. Below is a list of champions and podium finishes of the Fox team, along with a link to full results.